Catherine Lopez joined the Wenzel Select Properties team in June 2018. 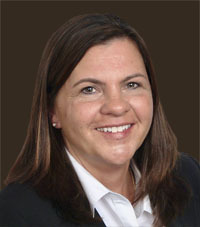 She brings her experience from another real estate brokerage firm and will provide the highest level of service. Catherine is dedicated, outgoing and believes in respect, integrity, and commitment. Prior to working in the real estate industry, Catherine worked in the food and healthcare industries. She enjoys working with people and looks forward to assisting new clients to find the home of their dreams! Catherine has lived in the Chicago area her entire life and has been a resident of Clarendon Hills for over 15 years. She enjoys spending time with family and friends. Buying a home should be an exciting experience. Call Catherine today to help you find your dream home!